LuxSci has long supported SPF for inbound and outbound email. SPF is a mechanism by which you can specify what servers are permitted to send email for your domain … and identify email from other places that may be fraudulent. This helps stop inbound Spam and helps ensure that your own messages are distinguished from any fraudulently sent ones by your recipients. DKIM (DomainKeys Identified Mail) is the other standard for preventing email forgery. DKIM works by cryptographically signing each email message sent. The recipients can use information published in your DNS settings to verify if the message was sent from an approved location (e.g. the signature is valid) and that it has not been modified in transit. LuxSci now supports DKIM for both inbound and outbound email. See our online DKIM Generator Tool. LuxSci’s Basic Spam Filtering service now automatically supports DKIM to help determine if messages are legitimate or spam. Messages that should have DKIM signatures (but do not) or which have invalid signatures are much more likely to be Spam. For example, all messages from @paypal.com and @ebay.com (among others) should always be signed using DKIM (according to these companies). Any messages that are not should be treated as 100% Spam. This by itself goes a long way to stop the prevalence of forged message from these domains. Treats messages from organizations that say that all messages should be signed AND that messages should be discarded if not, as 100% spam if they are not signed or the signature is invalid. This overrides any “white list” settings that you may have. If you use DKIM for your domain and have it configured so that all messages must be signed and any that are not should be discarded — then inbound messages forged to be from your domain (a very common thing) which are not properly signed will be treated as spam even if your domain is white listed. and do things with them (like flagging them or saving them to a folder). Get the specific settings needed for updating their domain’s DNS settings to publish the DKIM verification information. Customers can define DKIM settings for any number of domains in their account … and those settings will only be usable by users of their accounts. Of course, these DKIM settings are not useful unless the customer can update the DNS settings for these domains with the required TXT records. Customers using the shared luxsci.net and luxsci.me domains will automatically have all outbound email from their luxsci.net and luxsci.me addresses signed with DKIM — no configuration is needed. 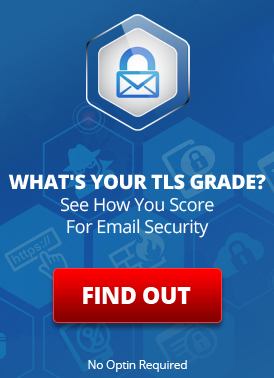 LuxSci highly recommends that its customers begin using DKIM for their outbound email. DKIM goes a long way towards validating legitimate email and protecting yourself and others against forged email. This entry was posted on Monday, December 5th, 2011 at 10:15 pm	and is filed under Email Marketing, New Feature Announcements. You can skip to the end and leave a response. Pinging is currently not allowed.